What on earth sort of cake do you make a girl who's not 'pink and fluffy' and doesn't like a big fuss? Well, here it is! 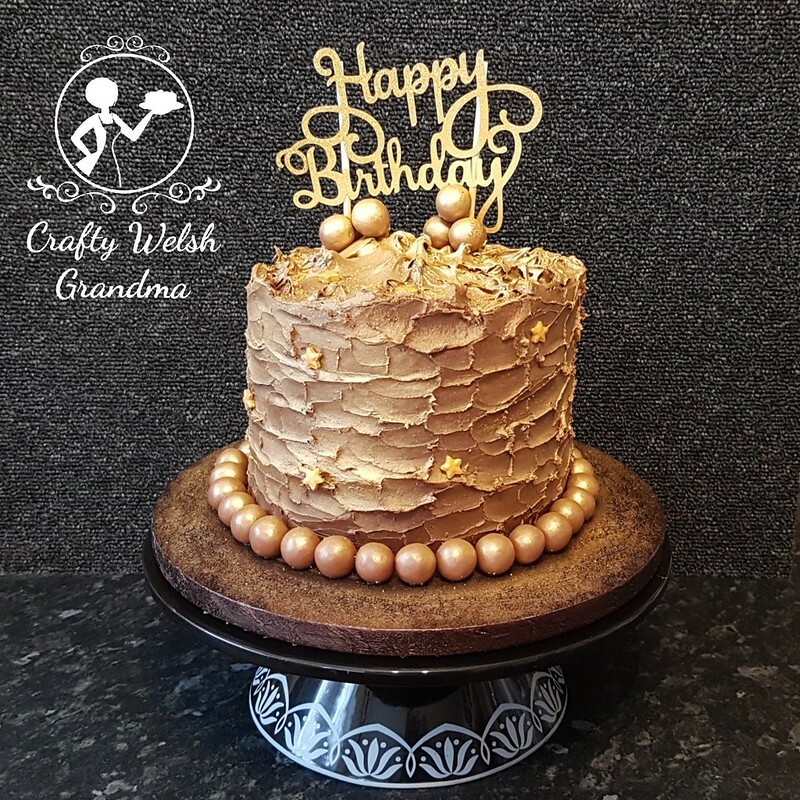 It wasn't my first idea, but the resources I needed for my original idea are not due to arrive until after the cake has been made, but I love the simplicity of this dark, yet colourful one! 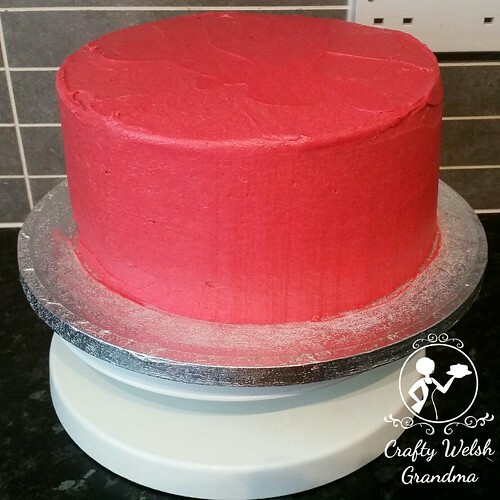 The sponge is coloured in a random dark grey and cherry red, which I hope cuts well, but it tastes divine, a simple vanilla flavoured sponge, covered in luscious vanilla flavoured, cherry red, buttercream. As you may have noticed over my last few blog entries, I've been having some serious issues with a new refrigerator. It seems as though I purchased a new one with a faulty thermostat, which is being fixed later today (22nd June). With this in mind, I've had to rely on a friend and neighbour for a loan of some space in their refrigerator. 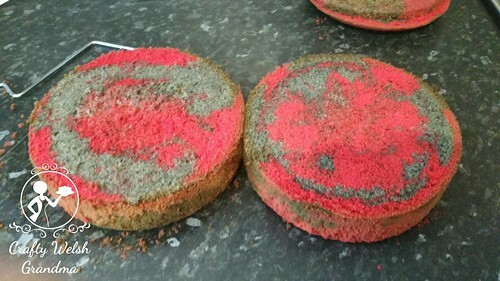 I'm not sure if the black fondant used had a problem or the fact that the 'ambient' temperature in my kitchen - 28.5°C - affected it so dramatically! It slipped and was so sticky that it became almost impossible to work with. 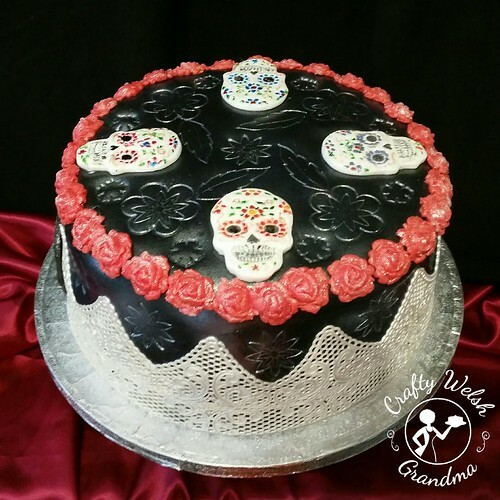 I'd already pre-made the sugar skulls and painted them by hand using food colour gels. The lace I purchased, because I'd been advised that our local weather could cause some issues, so buying pre-made edible lace was the way to go for this cake. The red glitter roses were made on the day of decoration and added to the cake immediately, as and when required. Into the super soft problematic black fondant, I embossed some simple flowers, but not before dipping the 'stamps' into edible glitter first. Silver lustre dust was used to add some sparkly magic to the finished cake and my work here was done!